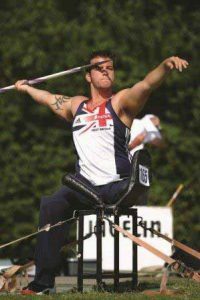 While competing at the IPC Athletics World Championships Nathan went on to win gold and followed this by breaking the world record F-57 javelin throw at the Czech Athletics Open in 2011. Nathan is now in training for the 2013 World Championships, building towards qualifying for a place at the Rio Olympics 2016. This year Nathan will also mark another milestone as he prepares to marry his fiancée Charlene in August at the prestigious Celtic Manor Resort in Newport, Wales. Nathan has recently visited Invacare in Bridgend, to discuss his brand new Küschall K-Series; that he’s trying to keep in pristine condition before his big day. Nathan loves his new chair, however explained that he requires some additional support to help maintain a stable seating position. Nathan has a slight pelvic obliquity due to his hind quarter amputation; to compensate Nathan has a tendency to naturally shift his weight to the left side of his body. Overtime this has resulted in Nathan using his offset muscle groups to regain his midline posture causing a slight discomfort in his lower back. 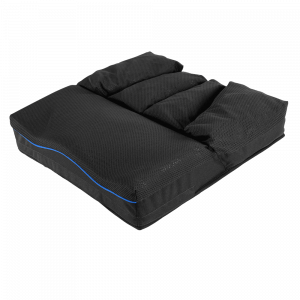 After considering the vast range of pressure relieving and positioning cushions available from Invacare the new Vicair Active cushion has been selected for Nathan to trial as it provides the comfort and optimal positioning needed at an extremely low product weight of 600 grams. This cushion has been specifically designed for active people to make full use of their wheelchairs in everyday life. The front of the Active is made of ergonomically shaped foam allowing for stability and easier transfer with the rear comprising of three air-filled Smart Cell compartments that provide extreme levels of comfort and stability. The cushion has proved perfect for Nathan as additional air cells were easily added to the left side of the cushion to support the loading behind his left residual limb. Nathan’s posture immediately improved with his obliquity taking the pressure from his left side resulting in a stable midline. 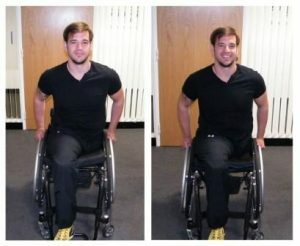 “After sitting on the new Vicair Active cushion it definitely feels more comfortable and is helping me maintain a correct posture” explains Nathan. 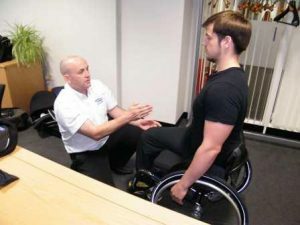 Invacare looks forward to another visit from Nathan in July where they will be fitting Nathan out with a Matrx MX1 back to further support his midline enhancing his posture whilst complimenting the aesthetics of his Küschall K-Series. The Vicair Active is now also available in a Vicair O2 version: Vicair Active O2, extra breathable & machine washable.